The neighborhood of Cambridge Abacoa in Jupiter, Florida holds a surprise for those familiar with the towns of New England. Here in Cambridge Abacoa, the streets have names like Portsmouth, Rockingham, Lowell, Andover and Stoneham. These well-known names from northern New England stand out as distinctive amidst the tropical street monikers typically heard throughout south Florida. 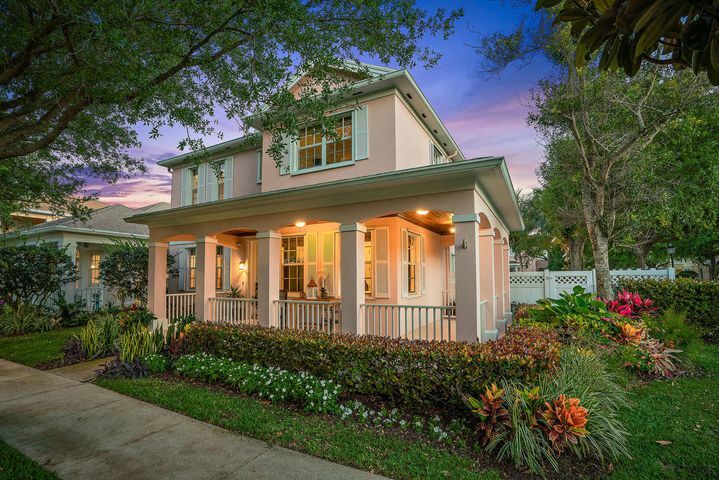 This congenial community of some 200 single family homes and townhouses is surrounded by nature preserves, giving it a quiet, peaceful ambiance and providing residents with superb walking and jogging paths in a natural Florida setting. Thinking about living here? Then you should contact Frankel Realty Group, whose Abacoa experts will be happy to show you around Cambridge Abacoa. Cambridge at Abacoa was created and developed in 2001 by DiVosta Homes. Two bedroom, two bath townhouses here offer about 1,300 square feet of living space, while the single family homes range up to five bedrooms with just over 3,300 square feet of space. DiVosta Homes’ plan for Cambridge at Abacoa was to design an architecturally pleasing, moderately priced neighborhood with features that include hiking paths, green spaces, a community clubhouse that can be rented for special events, a neighborhood pool and a children’s playground. 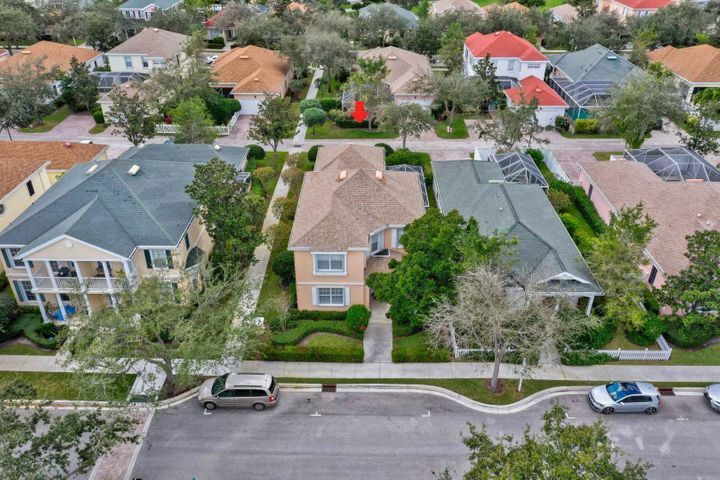 The Town of Jupiter’s plan for Abacoa was to design a family oriented neighborhood where kids can ride their bikes and play in the front yard, just waiting to hear a call from Mom or Dad that dinner was ready. By all accounts, they have succeeded. All residents of Cambridge at Abacoa in Jupiter, Florida are just a five minute drive from beautiful unspoiled beaches, fine retail shopping, deep water boating and ocean fishing, gourmet and family dining, and the highways of I-95 and the Florida Turnpike. Excellent Jupiter schools, many within walking distance of Abacoa homes, are another reason young families want to live here. There are four schools within a short distance from Cambridge at Abacoa: Independence Middle School, Beacon Cove Intermediate School, Lighthouse Elementary School and Jupiter Middle School. Jupiter High School and William T. Dwyer High School are within walking distance for teenagers. Abacoa is also home to the Jupiter campus of Florida Atlantic University, and its Wilkes Honors College. In Cambridge at Abacoa you are steps away from the shops and services of University Boulevard, and close to Abacoa Town Center and Roger Dean Stadium, where the Major League Baseball Miami Marlins and St. Louis Cardinals hold spring training. In the summer, the stadium hosts the minor league teams of the Florida State League, and in fall and winter, numerous Abacoa community events take place here and in the Abacoa Town Center. Are you a golfer? If so, the public Abacoa Golf Club will interest you. Privately owned, Abacoa Golf Club is not the typical municipal facility. The course is very challenging at just over 7,000 yards and the greens roll true with speeds of between 11-12 on the Stimpmeter. But with over 150 golf courses in all of Palm Beach County, you won’t be short of places to play when you own a home in Abacoa. So make the move! 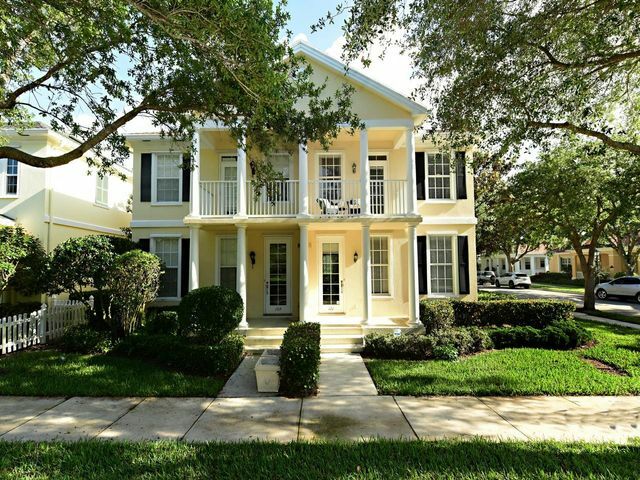 Cambridge Abacoa homes for sale are waiting for you to call them your own. Let the pros at Frankel Realty Group show you the array of homes available now. Click below to see the homes for sale in Cambridge at Abacoa, or call us for a showing. Once you turn the key in the front door of your new Cambridge at Abacoa home, you’ll be so glad you did, as you get ready to enjoy a comfortable, convenient life style so close to everything.